For the better part of 25 years, I have worked with businesses of all shapes and sizes and in particular law firms on their technology and IT challenges. A majority of that time has been devoted to the world of DMS, in particular iManage WorkSite and most recently cloud based NetDocuments. My exposure spans DMS systems design, design of infrastructure, implementation, migration, integration and technical training. I figured this worth mentioning since this article purports to discuss DMS migration best practices and what to be mindful of when taking the leap, either as part of a DMS upgrade exercise or a complete system switch-out. We have been actively involved in many of the latter so will largely focus on that approach. Tip: Ensure you have clear objectives going into any migration project, and at the end, ensure all objectives have been met. This might sound trite but you'd be surprised how often objectives don't match up. We feel very strongly about leveraging data found in existing systems and analyzing the data at hand in order to make informed decisions. This is most definitely the case when talking about the start of a DMS data migration project. We strongly recommend getting "under the hood" of the clients' system for some initial analysis. How many libraries does the firm have? Where in the world are they? How big are they? Several million, tens of millions or hundreds of millions of items? Are there any subtle and not so subtle inconsistencies that should be noted such as zero-byte/missing files, files that are overly large or the use of sub-versions? This type of base-level system information is critical as to avoid any big surprises further down the road and it provides clients with an honest assessment of what lies ahead when it comes to data transfers. In this step, words to live by: "what is discovered here is handled, what is not may return to haunt you." As part of this initial data/file/folder discovery process, take a closer look at specific library database structures; how do they work; what is the design of the folder structure and what applications do they integrate with. Especially pay attention to the firm's billing/financial system as it is often the route source of much of the client/matter information being extracted. Use this to start building the design. It's normally the firm billing system driving the overall system so make sure you understand the relationships between this data, the workspaces, metadata and security. Warning: With pressures such as GDPR looming, now is a good time to filter what gets migrated, or pay later to delete it! There are also direct costs involved with the volume of data moved that should not be ignored so a considered approach to what to migrate and what to leave is crucial. Tip: Where is the data going to be migrated to? What Jurisdictional requirements do you need to meet - France, Germany and Luxembourg want certain/all content stored within their borders; Russia requires certain documents to not be encrypted at rest and in North America, you have the Patriot Act to consider. Also to retain current clients and attract new ones, it may be necessary to be able to offer storage outside of the cloud (on premise) or even at the clients own site. If this is important to you or your clients, ensure the solution is flexible enough to fulfill them. Be Alert! Some poorly designed DMS systems have a bad habit of allowing users to file to 'bucket' codes. These typically are swept up into a 'Lost and Found' workspace, but if there are thousands of them, it becomes an unusable dumping ground. Explore what can be done (even breaking it up by year as an example), so it is as user friendly as possible. Avoid "chaos in, chaos out." Once the initial assessment and 'state of the system' is complete, strongly consider assembling a steering group -- interested parties to guide the design of the system to assure the firm gets what they want. Include partners, fee earners, support staff from different departments and others to get a well rounded representation of how diverse users interact with the system. 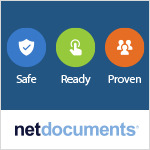 What might be mission critical to one group in terms of document management may be negligible to another. Also, don't ignore non-legal users like HR, marketing, finance, etc. Harnessing the power of collaboration at this point always presents a great opportunity for rationalization as well as restructuring of inefficient data presentation. Use this opportunity to work with your steering group on re-mapping what's being moving into the new system so it evolves into a solution that best suits the user base. Migration to a new cloud based DMS for example often presents the opportunity to make changes that address limitations of the old systems or alleviate the needs for cumbersome work-arounds. A re-design is often not as earth shaking as believed especially if the upfront data analysis, steering committee collaboration and re-mapping work have already been methodically executed. Tip: Consolidating multiple libraries into one makes it far easier for users to file to and subsequently find content later. There are similarities across the various systems especially as they relate to the client/matter structure. Where you might find the differences and oddities is with client specific use and customization of their DMS. Again, as part of this upfront data and mapping phase, give clients the opportunity to clean up data and structural issues that will only smooth the process moving forward. 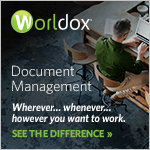 Within enterprise firms, a big 'gotcha' frequently encountered is the explosion of document types. 10 years ago we were working with 20 document types and today it is not uncommon for firms to have 120+. This of course leads to confusion for the users when it comes to profiling their documents which in turn dilutes their ability to do a comprehensive document search later on. Jason is a senior business consultant at Tikit and has spent the last 25+ years working with professional service organisations in particular law firms on technology projects with a focus on DMS migrations, system design and data integration.